Color coded for quick ID made with professional grade materials. Works with all boxes or cabinets, Stainless Steel, Aluminium,Steel, Wood, or Plastic. Give your tools a professional look and make your tools easily identifiable. Fully ventilated bottom and side areas for maximizing heat dissipation. 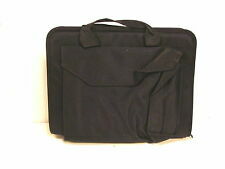 This sale is for ONE NOS Vaco (a subsidiary of Klien Tools Inc.) TOOL BUX ATTACHE No.70471, 15"x 12" x2-3/4". Black nylon with carrying straps. Industrial Steel Cabinets with drawers. Aluminium tool case with lock. Supplied without tools. Capacity: 30 kg. TOOLS NOT INCLUDED. 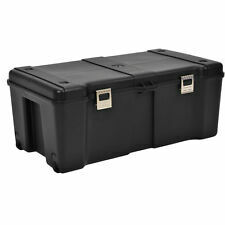 With three (3) detachable storage components you will have room for all of your essential tools and supplies. 18” L x 11” H x 10-1/2” W. Separate screws, nuts, bolts, and other accessories with three trays featuring eight divided slots. Lawson Products Steel 4 Drawer Hardware Parts Storage Cabinet; 20.5"X16.75"X15"
GERSTNER INTERNATIONAL GI-T24-M24 Tool Hobby Chest and Base 2 Piece Combo Set(s). MORE ABOUT THIS IMPORTED COMBO SET FROM THE GERSTNER INTERNATIONAL DIVISION We are an AUTHORIZED DEALER of GERSTNER INTERNATIONAL. Weight: 17 kg. Rollers height: 37 ÷ 470 mm. Rollers distance: 870 - 1070 - 1350 mm. ALUMINIUM TOOL CASE FERVI 0680. Aluminum tool case with lock. Capacity: 30 kg. TOOLS NOT INCLUDED. GERSTNER INTERNATIONAL GI-T20 9-DRAWER OAK “TOP CHESTS.”. MORE ABOUT THIS IMPORTED CASE FROM THE GERSTNER INTERNATIONAL DIVISION We are an AUTHORIZED DEALER of GERSTNER INTERNATIONAL. AND GERSTNER (USA) chests. 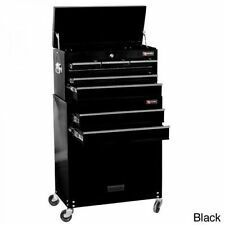 GERSTNER INTERNATIONAL GI-T20-M20 Tool Hobby Chest and Base 2 Piece Combo Set(s). MORE ABOUT THIS IMPORTED COMBO SET FROM THE GERSTNER INTERNATIONAL DIVISION We are an AUTHORIZED DEALER of GERSTNER INTERNATIONAL. NEW US Military Carpenter's belt. Made of heavy suede leather, pocket area riveted to a nylon pin-hook belt. Specially designed to US military specifications. Stand will hold (5) 50 Taper Holders. HUOT PN: 12675. We are a distributor for. 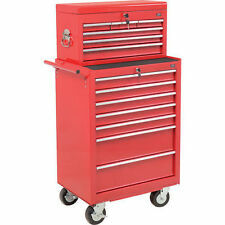 FOR SALE IS A USED RED STACK-ON TOOL BOX. THE EXTERIOR HAS MULTIPLE STICKERS ON IT AND A FEW DENTS AND SCRATCHES. THE INTERIOR LOOKS GOOD WITH MINOR SCRATCHES AND DENTS. THE DOOR IS A LITTLE HARD TO OPEN. Helios 5" Precision Square. Hardened Carbon Steel. Hardened & Ground. Precision Ground Surface and Edges. 5" Blade 3" Beam 90° Engineer square. HUOT PN: 11150. (1mm to 13mm by 0.5mm) DRILL BIT INDEX. HOLDS DRILLS from 1mm to 13mm by 0.5mm. 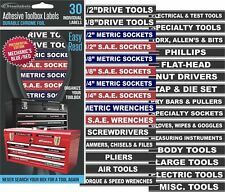 Fits in 2″ deep tool drawer. Each storage hole precisely sized for accurate, quick drill selection. Rugged, heavy gauge all–steel case. GERSTNER INTERNATIONAL GI-M24 3-DRAWER OAK, VENEER & PLYWOOD “MID-BASE UNITS.”. MORE ABOUT THIS IMPORTED CASE FROM THE GERSTNER INTERNATIONAL DIVISION We are an AUTHORIZED DEALER of GERSTNER INTERNATIONAL. 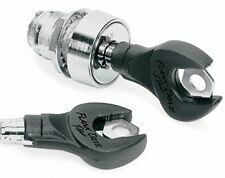 COMPOSED OF 20 STANDARD SOCKETS, 2 SPARK PLUG SOCKETS, 1 RATCHET HANDLE, 1 UNIVERSAL JOINT, 2 EXTENSION BARS AND 1 SLIDING T-BAR. Standard sockets sizes: 5/16", 3/8", 7/16", 15/32", 1/2", 9/16", 19/32", 5/8", 11/16", 3/4", 25/32", 13/16", 7/8", 15/16", 1",1-1/16", 1-3/16", 1-1/4", 23/32", 1-1/8". Deeper case fits all Spektrum™ surface transmitters. Includes 2 precut foam inserts fit all current Spektrum surface systems. Tough, aluminum exterior with protective finish. Here at IMD Racing, we are hobbyists who understand the importance of getting high quality products, fast and hustle free. 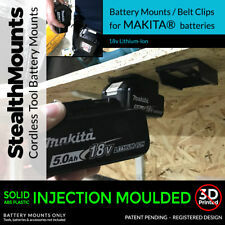 AWA0150MS ON-OFF ADJUST WELDING ANGLE - Mag-Mate. Model # AWA0150MS. 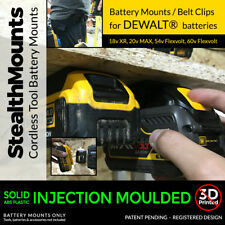 The switchable on/off rare earth magnetic adjustable welding angle, featuring Magswitch® technology, lets welders set up, weld and move on to the next job in a flash. For milling deep slots, grooves and other operations where either or both the peripheral or side cutting edges are used for machining. Used for heavy duty side cutting and straddle milling operations. HUOT TAP DISPENSER INDEX FINE/COARSE 0-80 to 12-28 (HOLDS 19 TAPS) 12550 "NEW"
HUOT TAP INDEX 12550. We are a distributor for. Cutting surfaces may be resharpened on face without changing contour or form for increased tool life. TTC E17 HSS Convex Milling Cutters. For milling female half circles. Application • For milling female half circles. For milling slots, grooves and operations where the peripheral and/or side cutting edges are used for machining. For side cutting and straddle milling operations where deep cutting is not required. Tooth Pattern Straight tooth design. TOOL CHEST STORAGE BOX PORTABLE TOOLBOX FERVI C900/A. With 6 drawers with central lock and portable tray. Overall sizes: 660 x 322 x 380h mm. Plastic case size: 500 x 440 x 200/270 mm trolley. Trolley: 1. 175 PIECES. Locking pliers: 175 mm. 1\2” Dr. spark plug sockets: 16 mm - 21 mm. Combination spanner: 6-8-10-11-12-13-14-15-17-19 mm. Water pump pliers: 250 mm. Ball point hex key: 1,5 - 2 - 2,5 - 3 - 4 - 5 - 6 - 8 - 10 mm. Water pump pliers: 250 mm. Combination spanner: 6 - 8 - 10 - 11 - 12 - 13 - 14 - 15 - 17 - 19 mm. Pickup tools with magnet: 1. 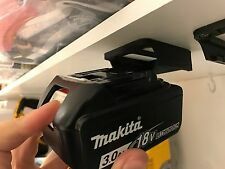 Magnetic bit holder: 1. For milling slots, grooves and other operations where only peripheral teeth are required. For moderate cuts on plain flat surfaces. Bright and black finish. Designed as arbor mounted cutters for machine tools. 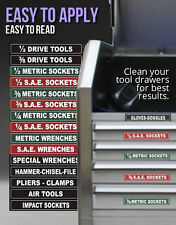 New Facom Leather tool box / drawer case. Made in France. Part number: BV.5A. This is a display model from a closed industrial supply so it is a little dusty . Comes with keys . From Manufacturer: • Sliding drawers including one fitted with 4 bins with 1 to 8 compartments possible, providing instant access to the contents dimensions (L x W x H): 375 x 116 x 40 mm. • Removable bin with transport handle. • Tool holder tilt back with 22 patterns. • Dimensions (L x W x H): 425 x 320 x 215 mm. Weight: 4.6 kg. All type of milling of steels, alloyed steels, stainless & heat resistant steels, cast irons & aluminum alloys. Overall Length 1-5/8". Weight 1.1 lbs. Product Specifications. Use Insert # SDNM09T304. Lawson Products Steel 4 Drawer Hardware Parts Storage Cabinet 20.5"X16.75"X15"